So I had an actual HVAC guy come today, yeah! 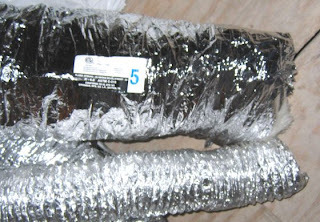 Remember the original "contractors" who tried using flexible dryer ductwork for the heat? Well pictured above that sad little duct is the flexible, insulated heating ductwork they should have used. Craziness.